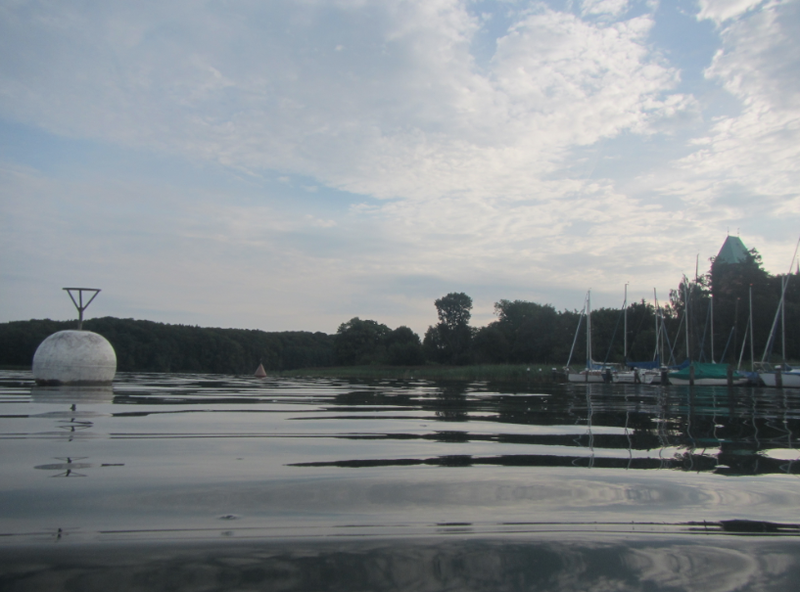 In Ratzeburg, we very much enjoyed our daily early morning swims. 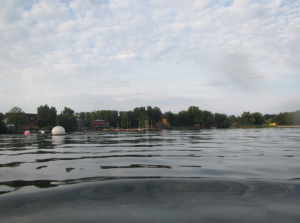 One thing that is really nice to observe when you are swimming in a calm lake is how things vanish behind the horizon. 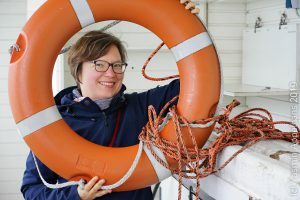 Of course, you see the same effect when sitting on the beach or on a boat, but somehow it impresses me most when I’m either in the water or lying flat on my belly on a surf board. This is what a buoy and boats look like that are fairly close. 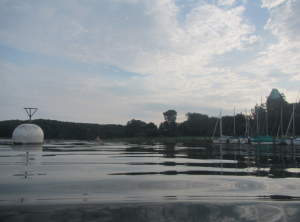 Even though your eyes (or the camera) are very close to the water level, you still see the water line on the buoy and the boats. 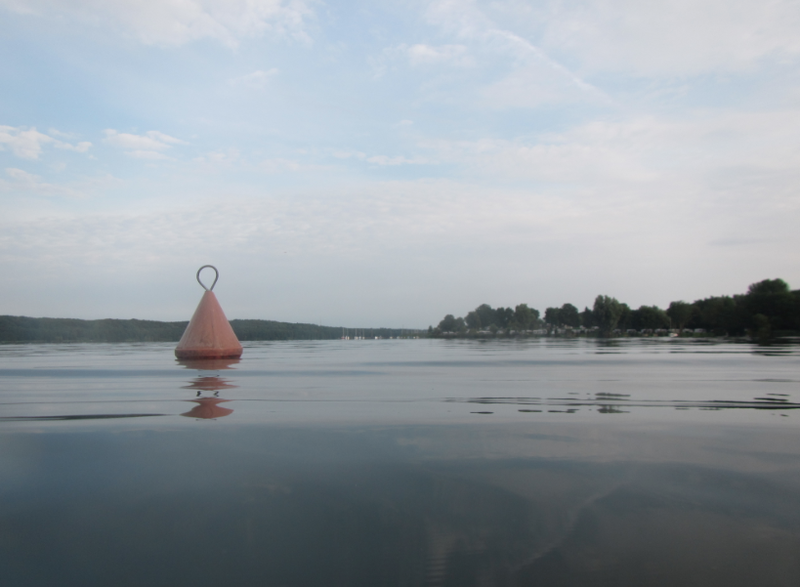 For buoys or boats a little further away it is very difficult to see the water line. And in this picture you still see boats in the background, but clearly the lowest part above the water line is missing. The boats in the picture above are maybe about half a kilometer away. Ignoring all effects of refraction of light and just looking at the geometry, the bottom 20 cm of the boats should be missing – which fits well with what we observe. Nice! This entry was posted in observation and tagged geometry, horizon, RZ2015, visibility on August 19, 2015 by mglessmer.